Insects such as mosquitoes, houseflies, wasps, gnats, fruit flies, moths and others can be such a nuisance. They will keep flying inside the room, produce annoying sound or even enter your eyes, nose, ears or food. To stop them dead in their tracks, you can use an electronic bug zapper which unlike the common insecticides, bug sprays or repellant that is more effective, environmental and user-friendly. 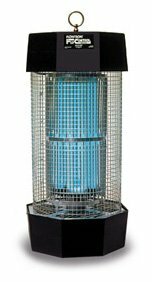 What Makes a Good Insect Zapper? – Effectiveness: A good product should attract and eliminate the bugs/insects easily and within seconds. – User-friendly: It is well designed, easy-to-use and doesn’t require special tools to fix or drilling holes on the walls. Most come in form of a racket that shocks the creatures. – Elegant: Top brands are aesthetically designed and will complement the surrounding rather than undermining it. – Durability: To keep the surrounding free of insects, top items are well built and will remain effective for a long time. Finding the top product isn’t easy for most people since the accessories come in varied functionality, sizes and shapes. We have compared and rated the different types in the market and drafted the following top 10 best electronic bug zappers review. Dynazap extendable bug zapper can be extended up to 3 feet and is ideal for eliminating bugs and other annoying crawling or flying nuisances. It quickly zaps the bugs without leaving any smears or smudges behind and saving you unnecessary cleaning. The bug killer using 2 AA batteries and features a lanyard for easy storage. 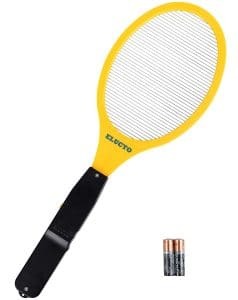 Zapping bugs and insects in a swat start by acquiring the bug zapper from Elucto. The professionally designed item is quite effective courtesy of its friendly and light design that makes swinging easy. This is boosted by its single layer (instead of 3 layers) design. It runs on two AA batteries and is manually activated using the easy-to-reach button. 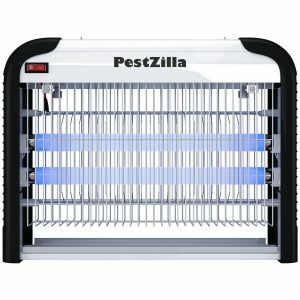 The electronic bug zapper by PestZilla is quite robust in killing different types of insects and bugs and is effective to a range of up to 6,000 square feet. The 20-watt device is perfect for the home, office, commercial and industrial uses. Insects and bugs are attracted to the ultra-bright UV light and will be killed instantly. It is best recommended to use indoor. 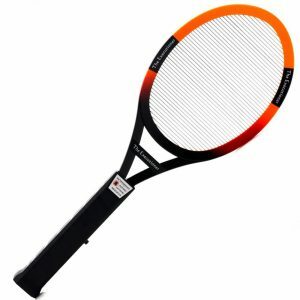 As the name indicates, the bug zapper by Sourcing4U Limited will instantly execute mosquitoes, fruit flies and other flying and crawling insects. Resembling a racket, the ABS-plastic made device will last for long, is powered by two AA batteries and is activated at the press of a button. 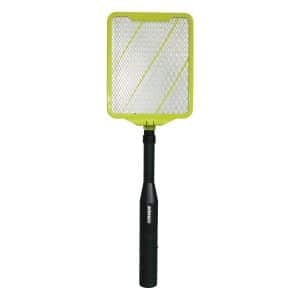 The high voltage will instantly kill the bugs without leaving any smudges. 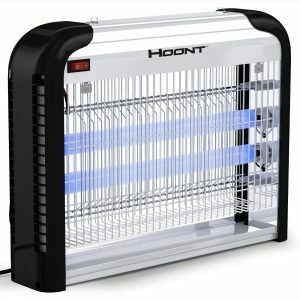 Effective for an area not exceeding 6,000 square feet, the bug zapper by Hoont is regarded as a top mosquito and insect killer. It is fit for residential, commercial and industrial usage and features two high-intensity UV bulbs that produce a total of 20 watts. In addition to attracting the nuisances, the bugs will be killed instantly thanks to the highly-charged metal grid. 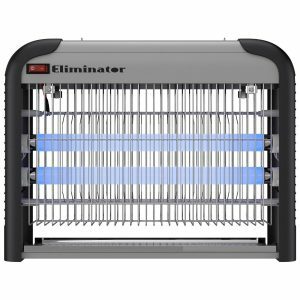 The Electronic insect killer by Eliminator is rated at 20 watts, it will kill different kinds of bugs and will work in residential, commercial as well as industrial settings. It is effective for the radius of 5000 square feet. The electronic bug uses two 10 Watt replaceable UV bulbs which are very convenient. The tray for storing the dead insect is removable that is easy for cleaning. 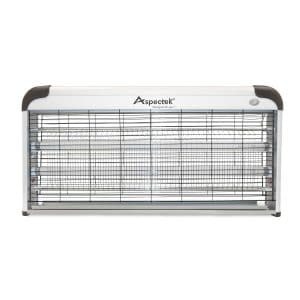 Aspectek bug zapper measures 26.3 (l) x 13.4 (w) x 4.3 (h) inches and has a killing radius of 1 acre. Its powerful 40-watt device and a high voltage metallic grid will zap insects such as mosquitoes, gnats, moths, flies and can be used indoor area such as home, hotels, warehouses, etc. It doesn’t contain any chemicals or sprays and produces zero smell or mess. 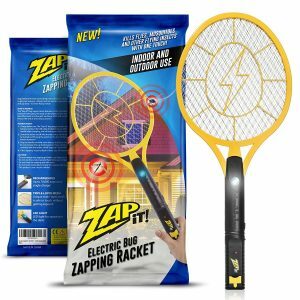 As the name tells, the bug zapper by Zap-It instantly eliminates bugs and insects such as mosquitoes, fruit flies, gnats, ants and others within seconds. Whatsmore, it does not leave behind leave any mess as the insects are electrocuted using 2000 volts. The ultra-bright LED light allures the insects especially in the dark before meeting their demise. It features a durable and sturdy 3-layer mesh and is charged via a USB port. If you’re finding a bug zapper for outdoor use, this Flowtron BK-40D electronic insect killer is among the most effective in the market and works with a range of up to 1/2 acre. It features Advanced Electronic Insect Control mechanism that will attract bugs from quite far then killing them instantly. 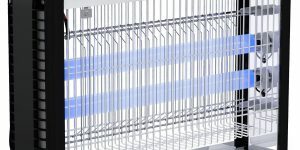 Together with the 40-watt bulb, the non-clogging zapping grid will remain effective even when used continuously while the quality construction protects it from pets, birds, children, wildlife and more. 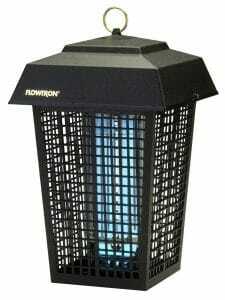 The FC-8800 Diplomat by Flowtron is well-designed for killing small and large insects both indoor and outdoor. Rated at 120 watts, it attracts insects as far 2 acres and is effective within a range of up to 1,200 square feet. The UV lure powered device features a glow-panel reflector, Glow-tube and can be mounted either horizontally or vertically. The unit measuring 12 x 12 x 27 inches is made from high-impact and sturdy plastic and features a chrome plated grid. It is AC powered and produces 5,600 volts that kill bugs instantly. Don’t get stung or bitten by mosquitoes, wasps or any other insects. You shouldn’t allow houseflies or moths to enter your eyes, nose, and ears or contaminate your food. Furthermore, you shouldn’t use insecticides or bug sprays that are harmful to you, your family and pet’s health or the environment. All it takes to efficiently eliminate the annoying creatures is zapping them with the right device. In addition to being time efficient and cost effective, the above-listed product will assure you of longevity. After going through the above review on the best electronic bug zappers in 2019, which one is your preferred choice?